Brad Anderson is an alumnus of Syracuse University and also a military veteran. You should know his story because it’s a Syracuse University story—one that speaks to our past, our present, and our future. 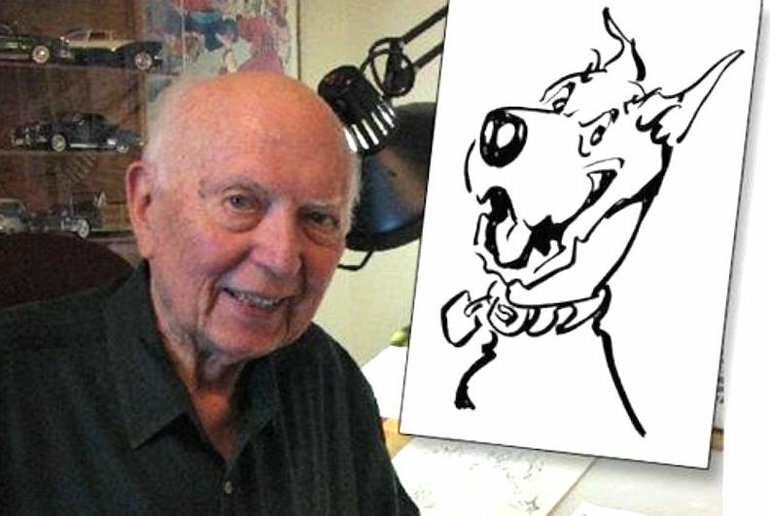 Born in 1924 in Jamestown, New York, Brad Anderson is best known as an American cartoonist and creator of the comic strips Marmaduke and Grandpa’s Boy. His career as a comic artist started at a young age. By high school, Brad was already publishing cartoons for aviation magazines such as Flying and Flying Aces. Having graduated in 1943 from the Brocton Central High School in western New York near the height of World War II, Brad served in the US Navy for three years. In this time, he gave more than just his service. He continued to hone his craft and published cartoons for the US Navy. After the war, Brad used his G.I. Bill to attend Syracuse University for a bachelor of fine arts degree with a major in advertising. By this time, Brad’s work was gaining not only local popularity in the SU student magazine The Syracusan, but also commercial popularity in well-known commercial outlets like Collier’s Weekly and the Saturday Evening Post. He gave advertising a try, but quickly came to terms with his true calling and directed his energy exclusively on freelance cartooning. Launched in 1954 and still going, Brad’s remarkably successful and celebrated creation Marmaduke was reportedly first inspired by his mother’s boxer, but he ultimately chose a Great Dane due to its “expressive face.” More than 600 newspapers in 20 countries published the comic strip throughout its syndication. Marmaduke grew into a staple of American pop culture, so much so that 20th Century Fox actually made it into a movie featuring stars like Owen Wilson, Emma Stone, and others. Brad has received numerous awards and accolades throughout his storied career including the Newspaper Panel Cartoon Award from the National Cartoonists Society in 1978 and the George Arents Pioneer Medal in 1999, Syracuse University’s highest award that it bestows upon its graduates. Brad Anderson is an alumnus of Syracuse University, and a veteran of the U.S. military. You should know his story.